In an unlawful move that is also in violation of a Supreme Court judgment, the Punjab government has stopped collection of the income-based component of agriculture tax through an executive order. In a move apparently made under pressure exerted by big landlords and politicians, in addition to being contrary to the government’s claim of looking to expand the tax net, the authorities called for a provisional suspension of income-based tax collection from the agriculture sector. “The income-based assessment and collection of Agriculture Income Tax under Second Schedule of the Punjab Agricultural Income Tax Act, 1997, should be withheld till further orders,” according to the notification issued by the Punjab Board of Revenue in October last year. The move puts a question mark over the authority of the Punjab chief minister who has succumbed to the pressure exerted by various lobbies. Against an estimated potential of Rs200 billion, the Punjab government collected a mere Rs1.6 billion in agriculture income tax in the last fiscal year 2015-16. The provincial government was collecting two types of taxes from agriculture – income-based and land-based. The land-based collection of tax would continue, according to the notification. The share of agriculture in the economy is about one-fifth but its share in total revenue is less than 1%, underscoring huge tax evasion in the sector. In the previous fiscal year 2015-16, Punjab received Rs901 billion from the centre as its share in federal taxes while generated a meagre sum of Rs143 billion through its own efforts, according to the Ministry of Finance. 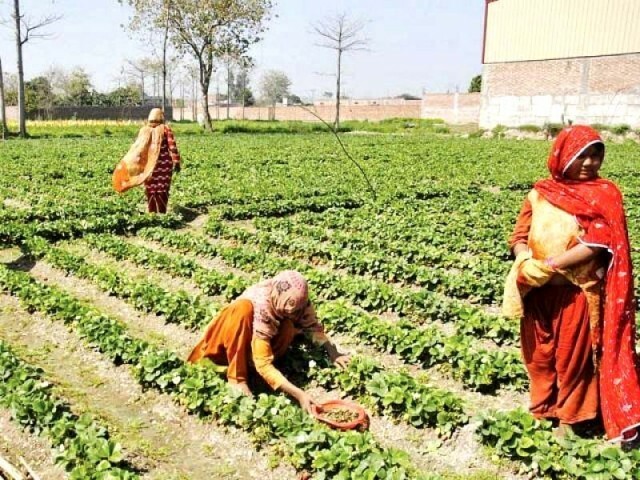 Punjab Finance Minister Dr Ayesha Ghaus Pasha confirmed to The Express Tribune that the income-based agriculture income tax has been temporarily suspended. The Punjab government took the decision during a meeting, chaired by Provincial Minister for Law & Parliamentary Affairs. However, legal and tax experts termed the move unlawful and in violation of the Supreme Court judgment that binds the federal and provincial governments to take decisions on fiscal matters with prior approval of the respective cabinets. The provincial government cannot suspend the Agriculture Income Tax through an executive order, said Dr Ikram ul Haq, a Supreme Court lawyer and an expert on tax matters. He said that after historical judgment of the apex court, the tax collection cannot be suspended even through a Governor Order. “It is a mockery of the law and the provincial government has gone way too far,” said Haq. In 2013, the Federal Board of Revenue (FBR) introduced an amendment in Section 111 of the Income Tax Ordinance 2001. The amendment was aimed at cracking down on those who evade income tax by hiding behind agriculture income. Under the Constitution of Pakistan, income from agriculture is a provincial subject – a lacuna that almost every influential landlord and industrialist exploits to evade taxes by claiming income from the land. According to the 2013 amendment, money or valuable article owned or funds from which the expenditure was made, by way of agricultural income, such explanation shall be accepted to the extent of agricultural income worked back on the basis of agricultural income tax paid under the relevant provincial law. Sources said that after this amendment, all the big landlords came on the radar of the tax authorities, either provincial or federal. Even the income of an important member of the ruling family came under question, the sources added. The authorities served tax notices on big landlords and many of them went to Lahore High Court and sought relief. These people started pressurising the provincial government that, like the other three provinces, the Punjab government should only charge land-based agriculture income tax. The sources said that now the provincial government was working on a legal amendment that it wants to introduce retrospectively. The amendment, which will be enforced either through an ordinance or through next budget, would nullify all the tax assessments made against these influential people in the past. The agriculture sector is passing through difficult times and the provincial government is trying to revive this important sector by providing it various incentives like subsidies and relaxation in taxation, said Pasha. She said that at the time of revival of the sector, the provincial government temporarily suspended income-based tax. She said that the provincial government also needed some time to put in place proper mechanisms for actual assessment of the incomes generated from the agriculture sector. Resurrection of Sher Shah Suri – Bloodline Never Dies. Last one month – A pitched battle to stop Imran Khan!